After the AC induction motor, we think that the greatest invention of Nikola was the electric car. This was no ordinary battery driven car because this car took its power from the ether just like an automobile antenna picks up radio waves from the ether. 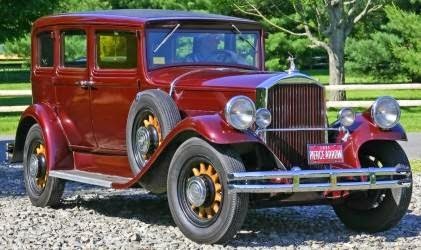 In 1931, under the financing of Pierce-Arrow and George Westinghouse, a 1931 Pierce-Arrow was selected to be tested at the factory grounds in Buffalo, N. Y. The standard internal combustion engine was removed and an 80-H.P. 1800 r.p.m electric motor installed to the clutch and transmission. The AC motor measured 40 inches long and 30 inches in diameter and the power leads were left standing in the air —no external power source and no recharging of any batteries was necessary. Mr. Tesla got into the driver's seat, pushed the two rods in and stated, "We now have power". He put the car into gear and it moved forward! This vehicle, powered by an AC motor, was driven to speeds of 90 m.p.h. and performed better than any internal combustion engine of its day! One week was spent testing the vehicle. Several newspapers in Buffalo reported this test. When asked where the power came from, Tesla replied, "From the ether all around us". "The car was a standard Pierce Arrow, with the engine removed and certain other components installed instead. The standard clutch, gear box, and drive train remained.... Under the hood, there was a brushless electric motor, connected to [or in place of] the engine.... Tesla would not divulge who made the motor. Set into the dash was a "power receiver" consisting of a box ... containing 12 radio tubes.... A vertical antenna, consisting of a 6 ft. rod, was installed and connected to the power receiver [which was] in turn, connected to the motor by two heavy, conspicuous cables.... Tesla pushed these in before starting and said: "We now have power." If this tale is to be believed, it would mean that Tesla had also installed one of his powerful oscillators somewhere near Niagara Falls to provide the wireless energy needed to power the vehicle. "(Seifer, Wizard. The Life and Times of Nikola Tesla, p. 419).